The inaugural American Iron 2-valve Shootout Race Engine Challenge presented by VP Racing Fuels and Lubricants will include 17 competitors from 13 different engine building facilities putting their most creative builds against each other in a dyno racing competition. The event will be held in Charlotte, NC, Oct. 2-6, 2018. Clay Witt, TPIS, Chaska, MN. More information about the competitors and the engines they plan to build will be updated regularly on the Race Engine Challenge’s web site. In addition to the dyno pulls, contestants and their guests can also participate in the 2018 Technical Engine Conference (TEC) seminars at the same location as the Race Engine Challenge. 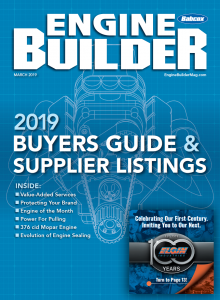 Technical experts and industry leaders will cover topics such as valve train dynamics, cam selection, exhaust header design, EFI systems, lubrication, cryogenics and more. 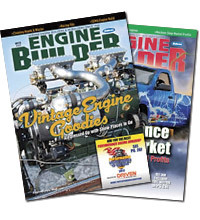 Engine Builder magazine is the official media partner of the 2018 Race Engine Challenge. For more information about the event visit www.RaceEngineChallenge.com.